Zello is significantly cheaper than other PTT solutions at $5.70 per user per month. Compared to the cost of traditional, two-way radios, Zello has saved organizations tens of thousands of dollars. 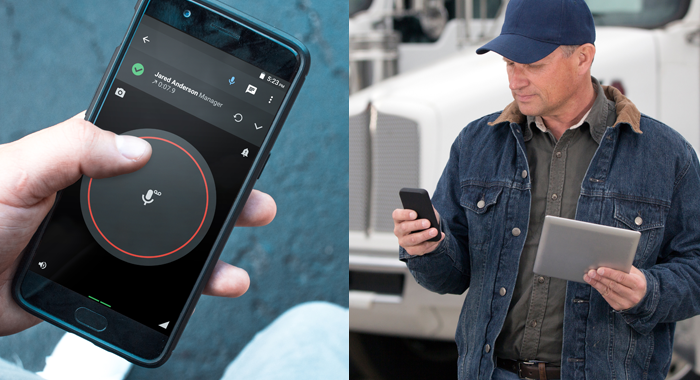 Compared to cell phones and traditional, two-way radios, Zello's voice quality is crystal clear. Since Zello uses low bandwidth, it preserves high voice quality over any network whatsoever, even 2G data networks. Zello works on Android, iOS, and Windows devices on all data and WiFi networks. Within the same organization, all combinations of devices and networks work together. No matter where you go, you're connected with Zello's unlimited, global range. Organizations that experience high employee churn easily add and remove users from their private Zello network by uploading a CSV. It's easy to setup new employees online. Supervisors manage their employees' Zello accounts individually and in bulk using any web browser online. These private networks are totally customizable, even with API and SDK support. The online management console is rich with features, giving admins complete control over how their employees use the push to talk (ptt) app. Among all the ptt solutions, Zello supports the largest size of channels and contact lists. All channels support up to 6000 active users, and there is no limit on the number of channels or contacts in a network. With all these options, it's easy to find anyone, anywhere, anytime. Zello is the only truly scalable ptt solution. Zello connects with two way radios, if required, and takes very little cost and time to install. Many organizations use Zello to replace multiple devices, cutting costs for even better service. Zello maps are more accurate than many in-house solutions. Zello combines location tracking, voice messaging, and an easy to use PTT trigger. Many other products only perform one of these functions. Zello expertly combines them all. Voice messages on Zello are sent in real time, and they are saved in a message history to be replayed at any time. Users are notified when they miss a message and easily replay the last message. Every organization is different and requires a unique solution for how they do business. Every Zello account works with a dedicated support representative for on-boarding, training, and troubleshooting. Our team will help you set up the perfect channel structure for your business. Technical support is available 24/7 -- and this is all included at no extra cost. Our mission at Zello is to improve people's lives by enabling the power of their voice. Humans were born to talk, not text, and organizations that care about their workers know this. Zello is totally free to try for 30 days, no credit card required. We're passionate about bringing modern push to talk technology into your organization. Click the banner below to get in touch.